Two weeks ago, a good portion of the AOR Humanities team convened at the Institute for Advanced Study in Princeton for one final meeting before we all meet in London to celebrate the end of the project! Unlike March’s meeting on Dee and his books, the only complications getting all of us in the room came from a few stray Skype outages, a welcome change from the blizzard-induced panic that marked our first group session. There’s a lot left to do before we roll out the viewer, but the meeting was an excellent chance to take stock of how far the project has come, and how best to encapsulate the many uses that Dee and Harvey found for the small subsets of books we’ve drawn from their respective libraries. After months of transcription work, the massive amount of data from Dee’s annotated books is nearly ready for analysis. The weeks leading up to the meeting were spent ensuring that we had the best, and cleanest possible data set to send out. The culmination of that exercise was an afternoon of scribblemania, as we put our heads together to try and decipher the considerable list of illegible, questionable, or otherwise incomprehensible annotations clinging on for dear life in the margins of Dee’s books and the comment fields of our XML transcriptions. Some of the astrological marginalia proved the most stubborn of the lot. Cardano’s Libelli Quinque had a number of holdouts, since even knowing the language they were written in wasn’t a guarantee that they’d be comprehensible. Tony Grafton set the gold standard for conundrum cracking on the day when he extracted “Ophiuchi” from this semi-legible note in the bottom corner of Dee’s corrections to Cardano (p.229). The rest of us then learned that Ophiuchus is a constellation, which we’re now happy to pass on to users of the viewer. Conversations like this one have played out virtually in the comment fields of our transcriptions, but having them in person is always a treat, and a great reminder of how multiple perspectives can enrich the readings of books like these. 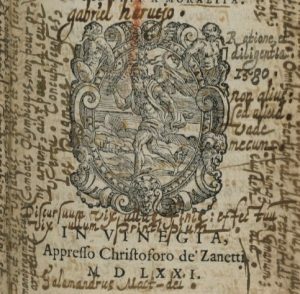 Banishing stubborn marginalia wasn’t the only fun that we had during the trip, we also had the chance to look over the Institute’s stellar collection of rare books in the history of science, begun by Lessing J. Rosenwald. Highlights of the many wonderful books that Marcia Tucker, the Historical Studies Librarian, pulled out for us to see included an annotated and expurgated first edition of Copernicus’ De Revolutionibus, along with a newly acquired collection of Spinoza’s works, including his Tractatus theologico-politicus with not one, but three false title pages attached. We’re now hard at work on the concept groups for the Dee corpus, which should provide a good glimpse into how differently these two men approached their books. We’re also making tweaks to the new version of our viewer, which should be out for beta testing in the next few weeks. Watch this space! 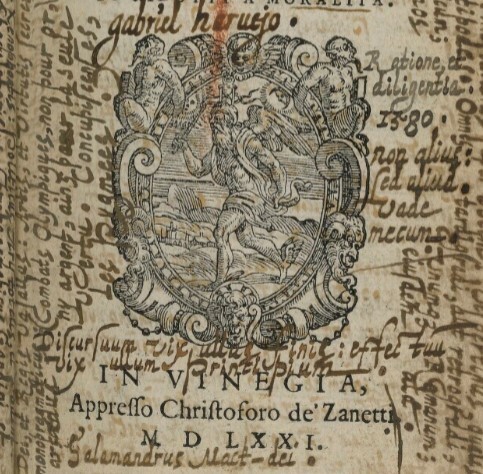 In July of 2014 I started a CLIR postdoctoral fellowship at UCLA’s Clark Library on the subject of “Manuscript Annotations in Early Modern Printed Books.” Less than a month into my postdoc The Archaeology of Reading in Early Modern Europe (AOR) project was announced, and naturally I was excited about potential discussions and collaborations with Earle Havens and his team. The Clark hosted a symposium on annotated books in December of that year, and both Earle and Matthew Symonds were in attendance. At this symposium an international group of scholars, librarians, and curators discussed various topics related to the study and curation of early modern manuscript marginalia; the symposium also coincided with the beginning of a pilot project to digitize ten annotated books from the Clark Library’s collection (since expanded to 60 books from our ongoing NEH digitization project, about which more info to come below). 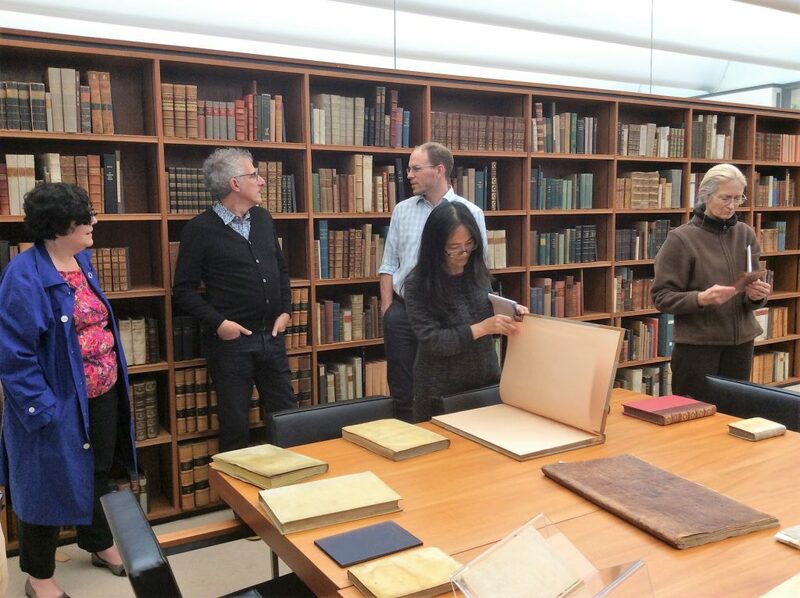 Since the symposium, the AOR team was generous to meet with me about the XML schema they developed and encouraged me to adapt it to the annotated books digitized at UCLA. Landing page for the Clark Library annotated books collection on Calisphere, a digital platform shared across California’s libraries, museums, and archives. The six other books initially digitized from the Clark’s collection range from polemical critique in a 1724 edition of Confucius to devotional marginalia in a 1708 spiritual autobiography. In other words, there is not a common theme, method, or reader in the annotations digitized from UCLA; rather, these ten books are representative of the characteristic idiosyncrasy that historical readers brought to their material readings of books. With support from the UCLA Digital Library to digitize these ten original volumes, the next step for our project involved transcribing the annotations. At first I explored the viability of using the Text-Encoding Initiative’s (TEI) standards to transcribe and mark-up a test set of transcribed annotations (from Roger Ascham’s A Report and Discourse of 1570). One good reason to use TEI in this case was the existence of an encoded file of the printed text of Ascham’s Report, created through the Text Creation Partnership (TCP) at the University of Michigan. The existence of this file meant all I had to do was add the text of the manuscript annotations to the existing transcription of the printed book and edit the TEI Header (the Oxford TCP website is a good place for finding such files). 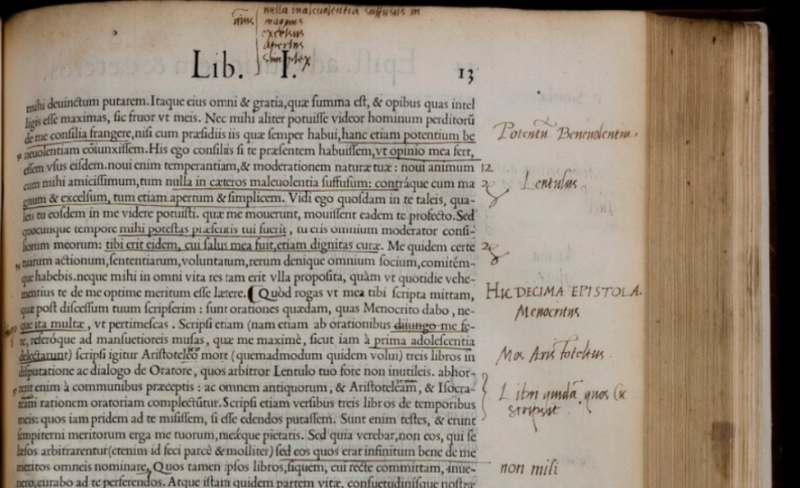 But one big problem is that TEI is not designed for dealing well with manuscript marginalia and cannot achieve the desired level of granularity in its encoding. Serendipitously, it was also around this time that I met with Earle, Jaap, and Matthew to discuss the AOR XML schema and how it might be used for non-AOR projects. I was impressed with the level of detail possible with AOR markup, especially compared to the limitations of TEI for annotation encoding. While I did not plan to make too many changes to the AOR schema, there were a few small tweaks I made to accommodate the idiosyncrasy of the Clark Library annotated books. 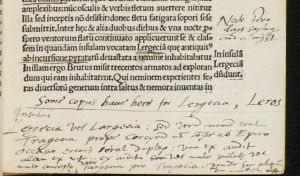 These tweaks included adding more values for handwriting type and marginalia topic, refining the way internal cross-references are encoded, and creating a new attribute for “marginalia type” within the <marginalia> element. A month or so later the Clark Library applied for and received a small grant from the Gladys Krieble Delmas Foundation that enabled us to hire three UCLA graduate students to transcribe and encode this original corpus of ten annotated books. Two English students (Samantha Morse and Mark Gallagher) and one History student (Sabrina Smith) spent three months during the Summer of 2016 transcribing and marking-up the annotations in seven of the ten books. (The annotations in two books—Sir Richard Blackmore’s Prince Arthur and Voltaire’s Dictionnaire Philosophique—proved too voluminous for the students to finish.) 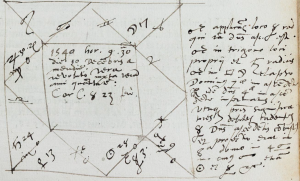 On day one I offered a three-hour crash course in early modern paleography and XML text-encoding; the session was supplemented by a detailed training manual. To make the encoding process easier the Clark purchased the Oxygen XML editor software for each student. 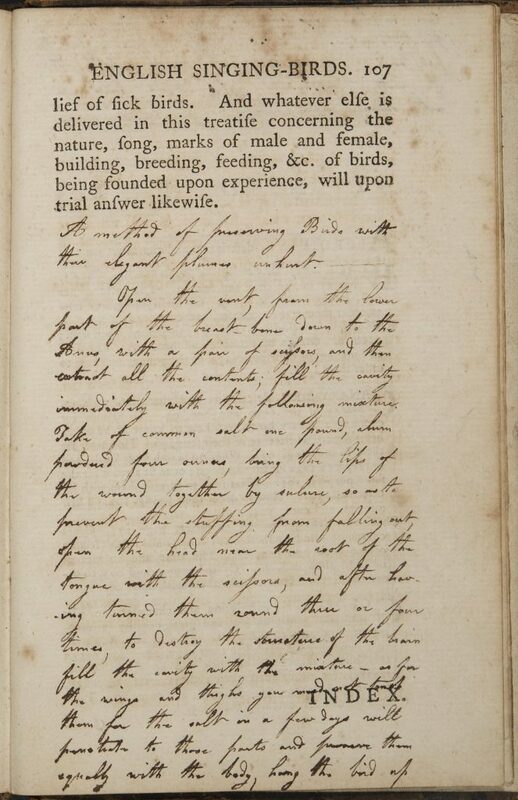 As the transcription project was intended to pilot workflows and methods for transcribing and encoding annotated books, we were just as interested in learning about process as we were in the product of the transcribed annotations themselves. 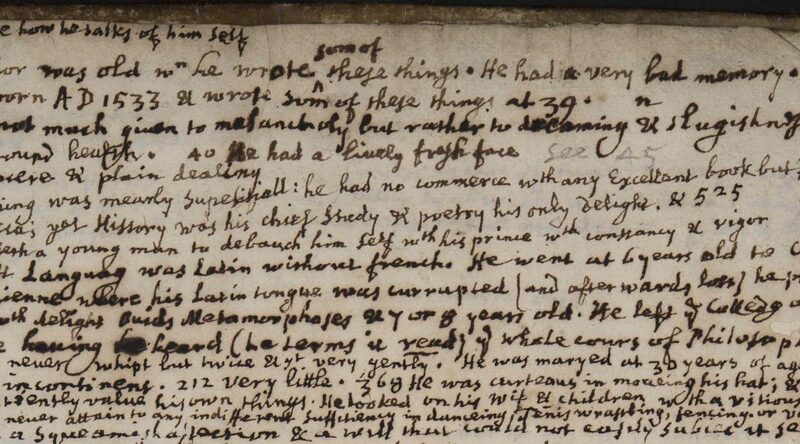 For each of the student transcribers, the beginning of each book posed difficulties, primarily related to learning an individual’s handwriting quirks. XML encoding presented a challenge as well, though the combination of the training manual, AOR schema, and Oxygen’s auto-complete feature helped our transcribers grow accustomed to the work. In fact, the Clark won an NEH grant in 2016 to digitize over 250 early modern annotated books, so the Calisphere collection will grow considerably when the project concludes in October 2018 (60 books currently available). Combined with the Clark’s recently completed CLIR grant to digitize over 300 early modern English manuscripts, the Calisphere collection will become one of the largest digital repositories of early modern English manuscript material when both projects are completed. During all of these digitization and transcription activities it has been wonderful to work with the AOR team and watch developments in their project. 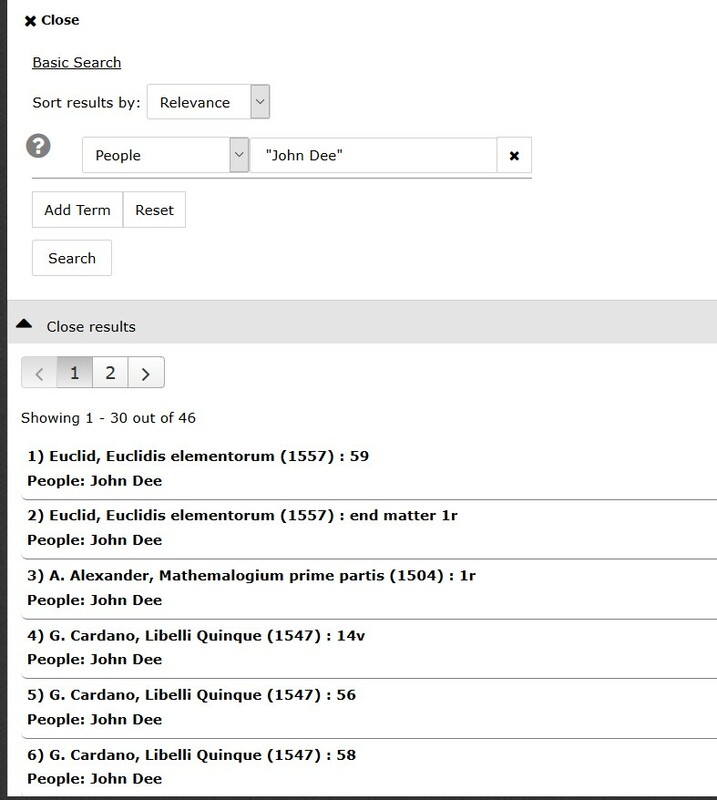 As anyone who has worked on Digital Humanities projects knows, it is never a good idea to “reinvent the wheel,” and the existence/accessibility of the AOR XML schema has ensured that the Clark Library annotated book transcriptions are largely interoperable with those produced for the marginalia of Gabriel Harvey and John Dee. I encourage any other annotated books projects out there to follow our lead and re-use the AOR schema for your transcription work, as Earle, Matthew, and Jaap have been extraordinarily generous in sharing their work with the larger academic community. 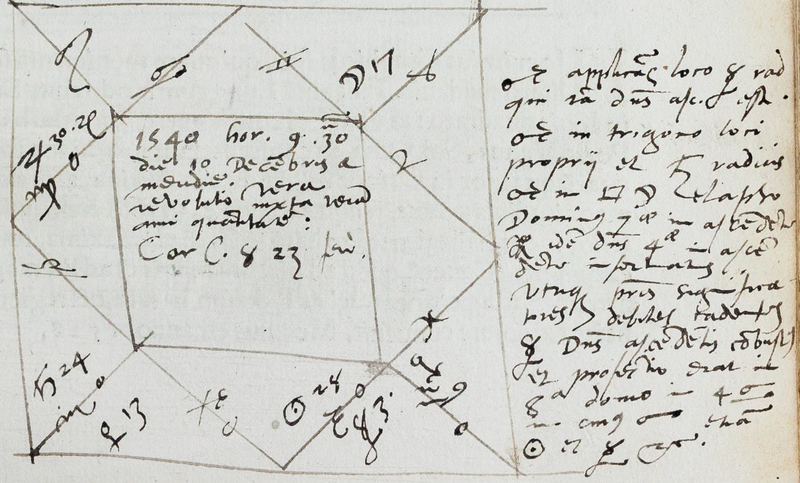 How did John Dee make sense of what he was reading? We at AOR have the luxury of examining Dee’s annotations with the apparatus of stable critical editions, the extensive reserves of research libraries, and the even more capacious Google search box at the ready. While Dee enjoyed none of these things, the annotations in his books hint at the breadth of information he brought to the works that he read, and remind us that no one activity dominated his reading. We also get a better sense of how comprehending a book even at the most basic level, could require specialist knowledge in the sixteenth century. 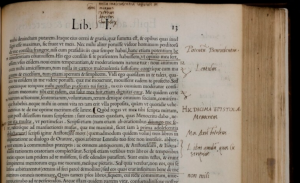 The gloss in Cicero’s Epistolae ad familiares (Letters to Friends), for example, mostly consists of copying out names, places, and even particular words and turns of phrase from the text, while correcting mistakes in it. I was surprised at how many of Dee’s critical comments could only be explained through recourse to footnotes in my modern edition. 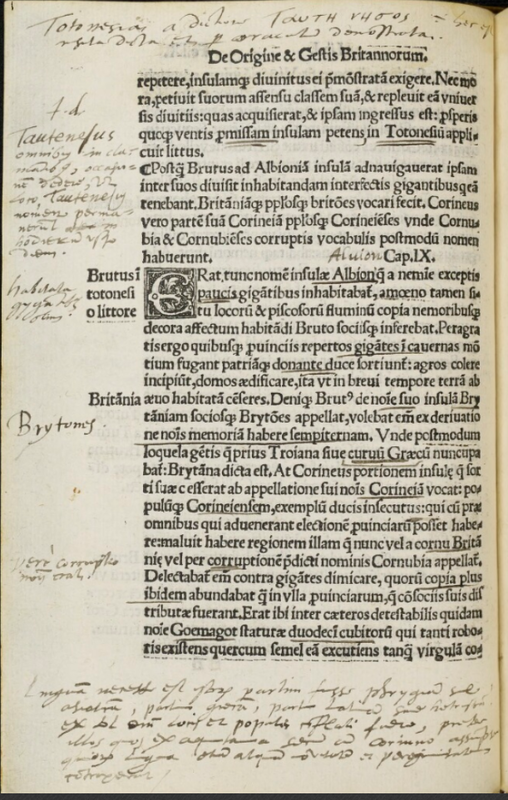 Some of the typos and omissions could be caught by an educated Latin speaker, but others, like the breaks between letters, show recourse to other versions of the text, perhaps in the form of printed or handwritten commentaries that circulated alongside other editions of Cicero. In other words, his two-volume, deluxe collection of Cicero’s works couldn’t be met with the same implicit trust (or perhaps willing acknowledgment of my own ignorance) that I brought to the indices and appendices of the Loeb Cicero, trying to keep up with what Dee was putting down. Aside from being a humbling experience, transcribing these glosses raises an important question in addition to that of Dee’s own comprehension. 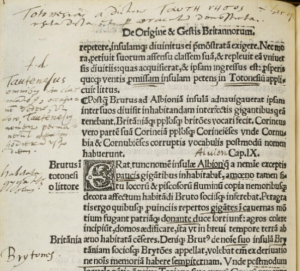 As a scholarly resource, our transcriptions should allow a modern reader to understand Dee’s annotations, and that can mean tagging more detailed information about people and locations into the transcriptions and translations. But what if those tags might not agree with Dee’s own identifications? In other words, If Dee doesn’t agree with the (modern) text, are we allowed to disagree with him? Historians of reading can afford to be more flexible than textual critics in how we treat variant or “multiple” readings without needing to label them “misreadings” or “mistakes.” Even so, these departures put us in a place where no clear or convincing explanation can be drawn that doesn’t pass through Dee’s own mind. Fortunately for us, Dee’s marginalia across several books offer evidence of his own approach to the same editorial problem. Dee’s library, like his reading, was vast and varied, containing the most current reference sources of the time – printed bibliographies and anthologies like the Cicero volume – as well as “ancient” manuscripts in their original languages. He thus had a fairly sophisticated understanding of how mistakes might be made, and (in keeping with his contemporaries) we find this on full display in his use of ancient etymologies. Historical and antiquarian writing of Dee’s time was full of telling toponyms that revealed the ancient history of places or peoples, if only their true meaning could be extracted from the corruption of time and translation. This technique had been practiced by historians for centuries, and as a result Britain’s ancient history was a minefield of mythical associations. The prevailing narrative, first set in writing by Geoffrey of Monmouth in the early twelfth century, was hotly debated in and around Dee’s own time. It linked the island’s name to Brutus the Trojan, a great grandson of Aeneas who had led a band of Trojan exiles from Greece through the Mediterranean and France before defeating the island’s former (gigantic) inhabitants. Brutus then named the island Britain and built its first city, a New Troy that would eventually be renamed London in memory of another legendary king, Lud. 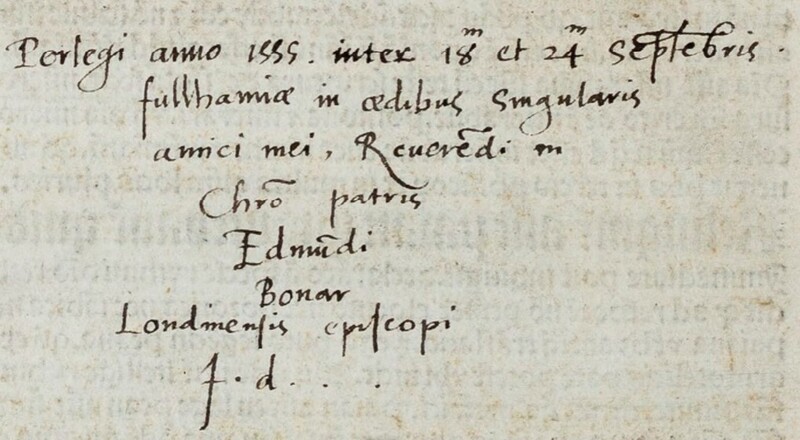 While Geoffrey’s inaccurate or all-too-convenient descriptions of places had aroused suspicion (or derision) among historians since Geoffrey’s time, in his printed copy (Christ Church Oxford Wb.5.12), Dee treads this well-worn ground and shows himself to be a master of the name game. His notes in the early chapters of the Historia locate the would-be Britons near the Acheron river in eastern Greece and as they move through the Mediterranean, Dee comments upon the probability of the account (both in general and in his specific copy) by investigating not only changes in language, but the havoc that their recitation and orthography might wreak upon unsuspecting generations of copyists and translators. 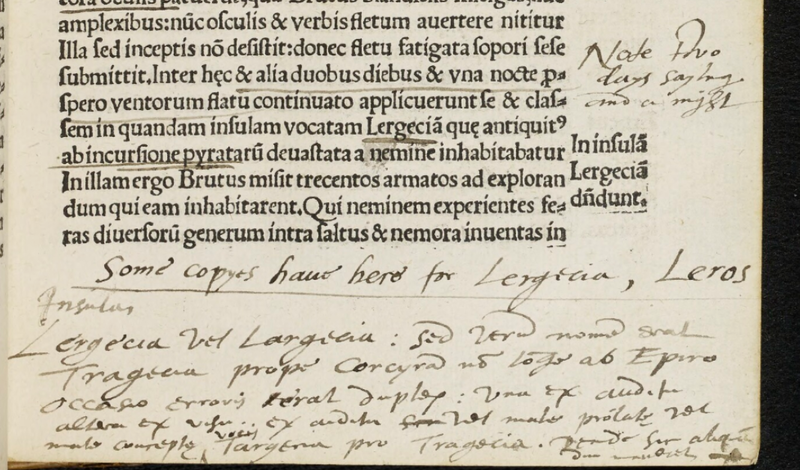 Here, Dee explains how Tragecia, a small island near Corfu the nonexistent island of Lergetia (or in some copies Leros which, though extant, was in the wrong direction), after one copyist mishears “Targetia” and a second confuses the Greek character tau for a lambda. Simple enough, provided that you come to your sixteenth-century book with a working knowledge of manuscript copying practices! We also see Dee taking into account the distance between locations here and in the pages that follow, constructing plausible alternatives where necessary. For Dee, it was possible (perhaps even routine) to learn from a source and critique it at the same time. “Getting it right” involved accounting for and explaining a certain amount of error. His point, and one well taken by those studying the ways early readers approached their books, it is that there can be quite a lot to learn from mistakes.